Mopar OEM Production DVD Headphones Mopar OEM Production DVD Headphones, Mopar 05064037AA Headphones, Mopar Headphones, Mopar DVD Headphones, Dodge Charger Headphones, Dodge Magnum Headphones, Chrysler 300 Headphones, Dodge Challenger Headphones,Dodge Ram Headphones,Dodge Durango Headphones [Mopar 05064037AA Headphones] - $84.95 : 3rd Strike Performance, Your Source for Late Model MOPAR Performance Parts and Accessories! 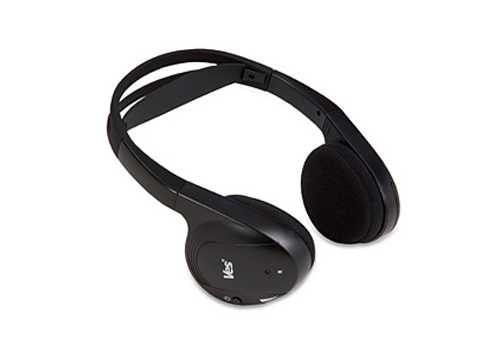 These Mopar Headphones are factory replacements that can be used in place of, or in addition to, your existing headphones. Designed for use with factory DVD entertainment systems, these headphones allow you to quietly entertain you passengers without bothering the driver. The wireless design provides easy use without having to worry about wires or plugs getting in the way. Keep your passengers entertained while maintaining peace and quiet in your vehicle with the addition of DVD entertainment system headphones from Mopar. For use with production 8" and 10" DVD rear seat video systems.